I came across solar schools via the 10:10 website. 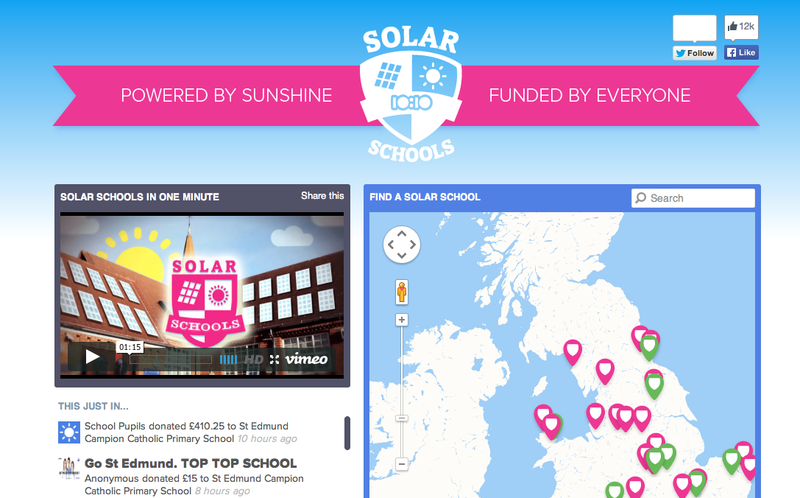 Solar Schools is a spin off campaign in order to help make schools in particular more carbon friendly. "The Solar Schools project is putting clean energy in classrooms all over the country. Schools set a fundraising target for their very own solar roof, then everyone chips in to help make it happen. It's a chance for pupils, parents, local businesses, former students and everyone else to do something good for their school, their community, and the whole world." An example of Solar Schools target and funding for each school across the nation. Many are fully funded on close to being so with generous contributions from organisations and individuals worldwide to allow schools to be ran via solar power. 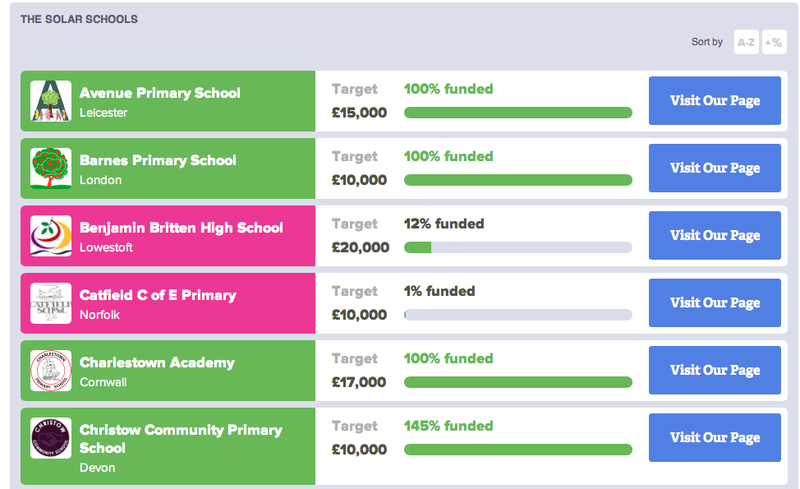 50 schools are currently taking place, and funding raised in total can be seen below. Also supported by the Cabinet Office and Lush, who support ethical and global campains. This is an example of a campaign where by people are already taken action and changes have already been made, and will continue to do so. Really great to see something where people are active and aware of a situation and the solution, which in this case initially is financial.